After a brief hiatus, I am bringing back Music Monday just in time to share some of my favorite Halloween songs. There’s no way a list this small can even come close to touching upon all the awesome music for this time of year, but I figured I’d share some of my current favorites anyway. What’s on your playlist this week? It might be somewhat sacrilege to say this, but at the moment I am enjoying this cover a bit more than the original version from the Nightmare before Christmas movie. That feeling may in part be influenced by me wanting a reason to share this fan video someone made using scenes from the anime Soul Eater (the story was so-so, but I loved the artwork!). This song has been a Halloween staple for me ever since I learned of its existence back in the early 2000s (and shame on me for not uncovering it sooner). There’s no way you can hear or see this and not think of Halloween. A bit lighter than the previous two songs, this one came out during the brief swing music revival in the mid-to-late 90s. It’s a frolicking, fun trip into the darker side of the afterlife. A cheerful number about a teenage girl that makes sport of killing her fellow townsfolk. It has a manic, circus-like energy that just can’t help but hook in the listener. I wanted to include at least one “classic” on this list and I’ve been fond of this one ever since I was little. An irreverent, fun take on the famed creatures of the night. A gritty, spoken word track told from the perspective of a man wondering what a seemingly eccentric neighbor is doing in their shed. It has a creepy paranoid energy that builds throughout, inciting your curiosity. That eerie feeling is then perhaps taken even higher when you stop to think that maybe it’s the speaker who is the crazy one. Well, there’s my Halloween list. I hope you enjoyed listening along. Does anyone have any favorites that they’d like share? Feel free to leave a comment and look for my Halloween festivities to continue right on through the big day! Special Note: Thank you to the YouTubers whose videos I linked to! I assume they are fair use, but if you prefer I take them down from here I will happily comply with your wishes. And here I am with my second Musical Monday post! It also happens to feature another CD released in 1996, which I guess was a pretty influential year on me music-wise (I was 14). A friend of mine in college once brought up his theory that 1996 was the best year for music in our lifetimes and I must say that I am inclined to agree with him. That, however, is an entirely different discussion so let’s focus instead on the album at hand. Description: The band’s debut album, this one runs at a tight 39:18 and its 11 tracks flow smoothly into one another, maintaining an excellent beat throughout the disc. The band mixes heavy guitars and a blend of raw and haunting audio effects with an electronic/pop vibe that I think gives them a slightly more upbeat style than some of the other groups associated with the genre. My Experience: I first came across this band on track two of the now legendary Mortal Kombat: The Original Motion Picture Soundtrack. While the movie itself is largely forgettable with its painful mid-90s CGI and B-film acting, the soundtrack is another matter entirely and probably worthy of its own Music Monday post at some point down the line. But I digress. 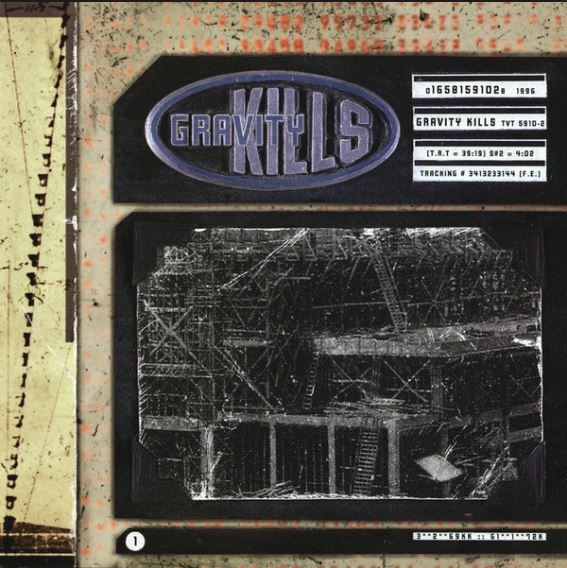 Gravity Kills made the disc with a demo version of their song Goodbye that made quite an impression on my teenage self. It inspired me to seek out the CD reviewed here and I quickly became a fan. A year or so later I convinced my mom to let me go to one of their shows on a school night and thus, on an early summer night in 1998 I went to my first ever concert at the Middle East Downstairs in Cambridge, MA. The Music: At this point I just want to say a big thank you to @GravityKillsMusic for uploading the album to YouTube. This looks like an official band account, so I am putting the link here so anyone interested can check them out. In no particular order my top three tracks from this listening session are Guilty, Enough, and Inside though I must say I still enjoyed them all, especially when taken as a whole. I’ve been meaning to jump in on this tag for a little while now, but haven’t really been able to fit it into my posting schedule. After spending some time going through my old CDs the other day, I was finally inspired to start making these posts more of a priority. Description: The band’s second record is chock full of all the energy, aggression, and left-leaning/anti-establishment politics that quickly became the group’s signature style. 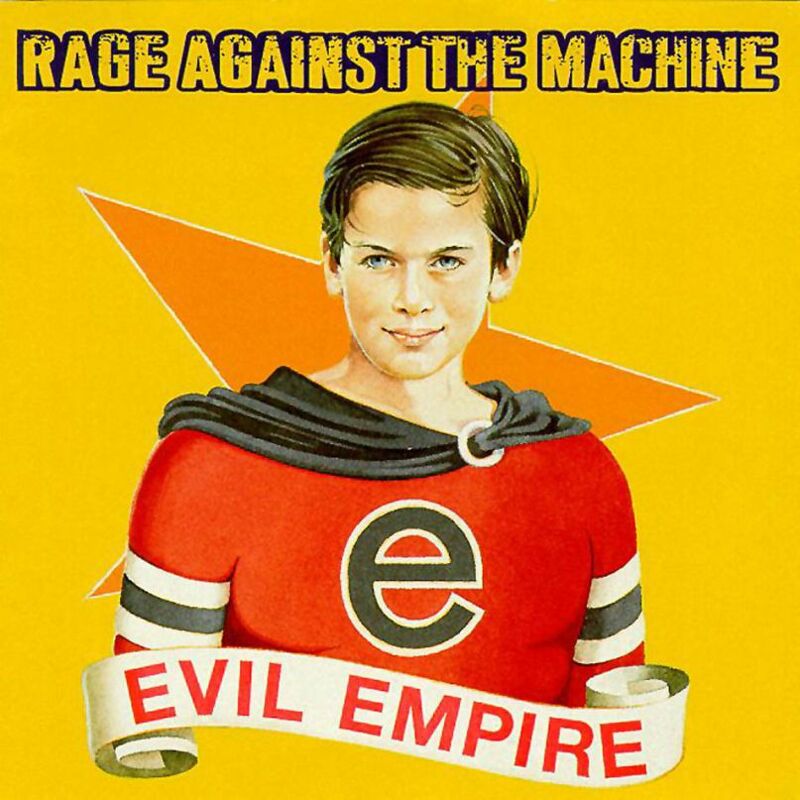 The album’s 11 tracks provide just over 45 minutes of relentless musical assault fueled by frontman Zach de la Rocha’s incendiary vocals and lead guitarist Tom Morello’s mastery of his instrument. From the opening line on People of the Sun (better turn the bass up on this one) to the closing screams and thrashing guitars on Year of tha Boomerang, this album doesn’t let up for a single moment. My Experience: I’m going to really show my age on this one, but I remember buying this CD as a teenager (with cash at an actual brick and mortar store) shortly after it was released. It immediately became one of my favorite albums and has retained that status to this day. I’m a huge fan of both the sound and politics of this disc. One thing that I find really striking listening to this some 22 after its release is how (unfortunately) relevant it still feels despite leaning so heavily on activist causes of its day. With songs touching on topics like systemic racism, police brutality, domestic violence, the military-industrial complex, and Palestinian resistance to the expansion of Israeli settlements all these tracks remain frustratingly applicable to our modern world, perhaps none more so than Without a Face, which is sung from the perspective of a Mexican worker secretly crossing the US border to make money to send back home. Top Three Tracks: This was a hard decision. I have my favorites, but this is one of those albums for me where every track is really, really good. Anyway, in no particular order, here are the three (with select lyrics) that I’ve chosen to highlight. Yes, there were painful omissions made. And with that I will wrap up the first of hopefully many Musical Mondays. Thank you and credit to Genius and @RATMVIVO for providing the lyrical and video content provided.